Whether you’ve got your feet kicked up on your desk with hands rested on the back of your head or are still finishing up your busy season, certainly winterizing equipment is on landscape business owners’ minds this time of year. And if it’s not, this week’s Throwback Thursday post will get your wheels turning. 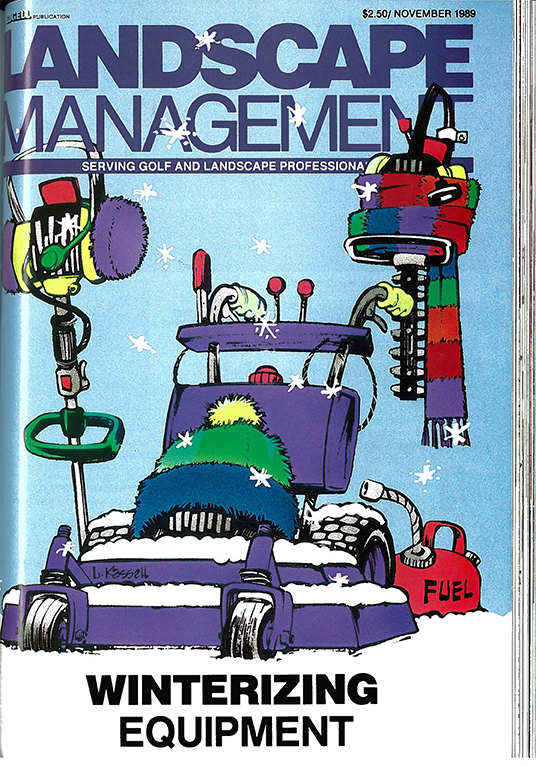 Titled “Winter, a time of R&R for your equipment,” the cover story ran in the November 1989 issue of Landscape Management and was authored by Jay Holtzman, then contributing editor. It spotlights Front Royal, Va.-based Shenandoah Valley Golf Club, unveiling how the club increases its machines’ life expectancies through off-season maintenance. Being thorough is chief in making equipment repairs and facelifts in the winter, said Eric Linde, superintendent. “It’s the (only) time of year when we have time to rate batteries, go over belts and hoses that aren’t often seen, and examine all the other parts that can deteriorate or wear,” Linde said. With the help of his mechanic, Calvin Smith, Linde laid out a full maintenance program for the off-season. This allows him to maintain 13 workers through the winter out of his 20 employed in the summer peak season. 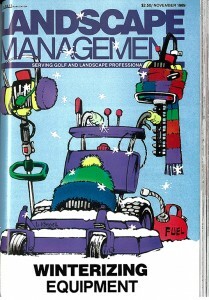 The thorough equipment maintenance proved to be a money saver, too, for Shenandoah Valley Golf Club. Linde cut out $15,000 in annual new equipment costs.